There are some good suggestions in this thread, and I agree with a lot of Velocity's thoughts. Here are some of mine which may have already been mentioned. Firstly, I think the overhaul of the user interface that Oliver has previewed is a step in the right direction, and I'm glad that's a priority. In future though I believe these additional features would really expand the product, and keep it competitive with GSX. 1. Baggage carts. Preferably with animated loaders, by I would happy with just the vehicles pulling up beside the plane. at the bottom of the airstairs. 3. Air and Ground power Units. I know a lot add-on aircraft already have these modelled, but a lot don't. 4. Folders for vehicle repaint sets. I think the airport code system already implemented is fantastic, but folders would really make organizing repaints a lot easier. AES already has a ton of features that I believe make it stand out from GSX, but some additional features would really set it up nicely for the future. I have to support CAPFlyer as he is correct. I was once an aircraft refueler as well and this would really be a noticable difference and greatly appreciated. Also, anymore thought to adding a person or two to insert chocks and plug in the electrical power cable from the jetway? As for more clutter around the aircraft? 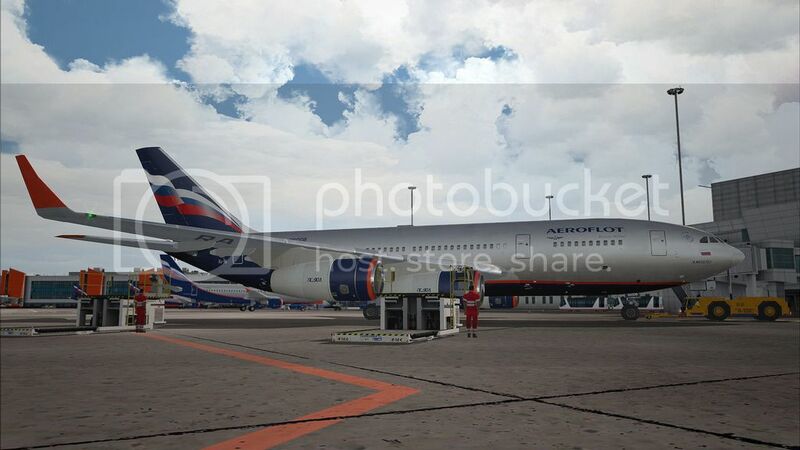 Most major airlines have an armada of 8 - 10 personell already in position (staging area) waiting for the ac. belt loaders/LD loaders(wide bodies), two baggage cart drivers(front & rear) along with the ac refueler and some times depending on the airport both a Postal and a Customs agent. i wanna make a request for the next AES update. to add the majestic dash 8 in it. I have setup the dash 8 parameters but the marshal does not seem to do it properly like for example. The marshal says that the aircraft is on blocks when i am still moving. And the loading belt on the wright site as well. Hello: I agree with above. AES is overall better, but would be the best if there were baggage handlers with luggage trains. And with large aircraft, we would have trains with the large luggage containers. You folks have a very nice product and I have purchased a number of credits for a number of airports. What sold me was the jetways stopped right where they are supposed to. Before I had jetways cutting my fusilage in half, or stop 6 feet short. Keep up the great work. AES is overall better, but would be the best if there were baggage handlers with luggage trains. And with large aircraft, we would have trains with the large luggage containers. We have not had an update for a long time now on this. It would be so great to see this in AES. I hope Oliver finds the time to accomplish this! Been a long time since DS was announced and the new features looks very good. I've used AES for years and after switching to FSX 18 months ago I also bought GSX. Whilst I like AES it's very clear it has slipped behind GSX in regard to baggage handling. It's disappointing that this thread is over a year old and we have still to see these major improvements. I accept that people have full-time jobs but development does seem to be extremely slow with no updates on progress. Well it's now April of 2015 and I think it's rather unfortunate but safe to say that there most likely will be no further developements on this product as there have been no communications, replies or posts. Very disappointing as we all were anxiously looking forward to the upgrades but I think he has moved on to other projects. Please please give us the ability to select which tow truck to use. I love to the paint the AES trucks, but I cannot even check the paints let alone match truck type to aircraft. I noticed for the first time, that 747s also have two refuel trucks at the same time. I mentioned on my "improvement list for new AES" that in Paris CDG they use two refuel trucks at the same time for A380s. 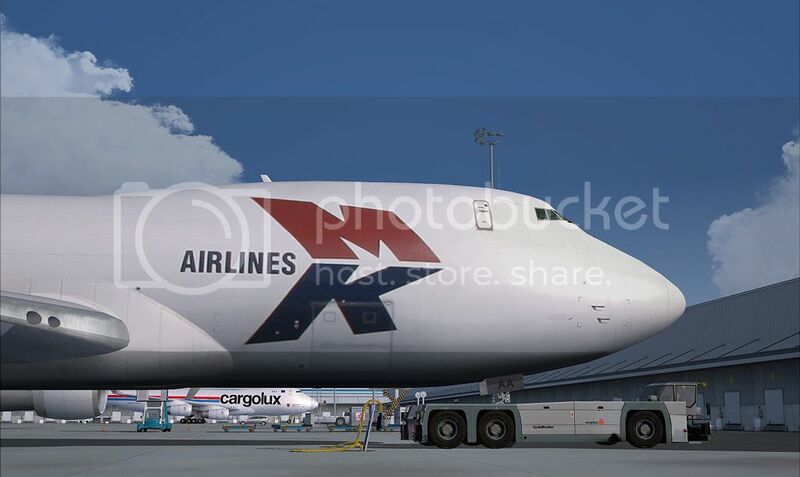 Now I found a picture of ABC 747-8F which is refueld by two trucks at the same time. May it can be added as optional feature to request tw fuel trucks. 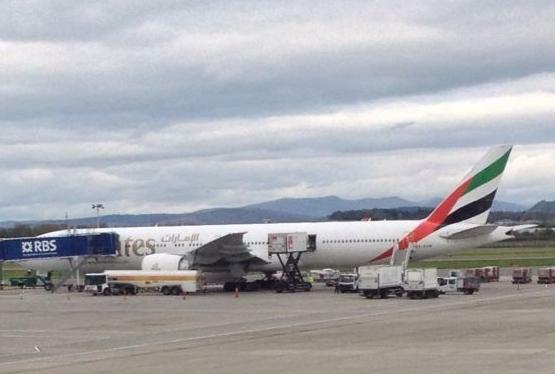 I asume that the 747-400 can also be refueld by two trucks. Damn. I can see a fault in the paint ….but can I go through umpteen reloads just to fix it? Edit* …no point in hanging around. Any new feature or correction in the AES 2.39? It's now 18 months since Oliver started this thread and 4 months since I last posted asking for a progress report. He hasn't given any news on this at all. Is it fair to assume this new version is dead in the water? Please, either post some news on progress or just remove the whole thread. For customers to keep asking for changes when it seems unlikely they will ever see them seems pointless. What a sad state of affairs for what is still a reasonable program but is now falling behind the competition. im not Oliver but i think there is no reason to think why this could be cancelled. But i think its best if Oliver jumps in. You have more faith in the project than many of us. I'd love it if Oliver would reply. Perhaps you can give him a nudge. 18 months without any update tells me the project is dead. Hopefully I'll be proved wrong. Thanks Tom. Looks like he's forgotten he created a separate thread for this new version. Perhaps someone could bring it to his attention. News? Stop of Project? Or..? Two years..
You'll be lucky! Some of us have been waiting ages just for news on FSX which is currently the only platform AES works with. As a protest against any news from Oliver I will not be buying any more credits until the program is improved to include baggage handling.